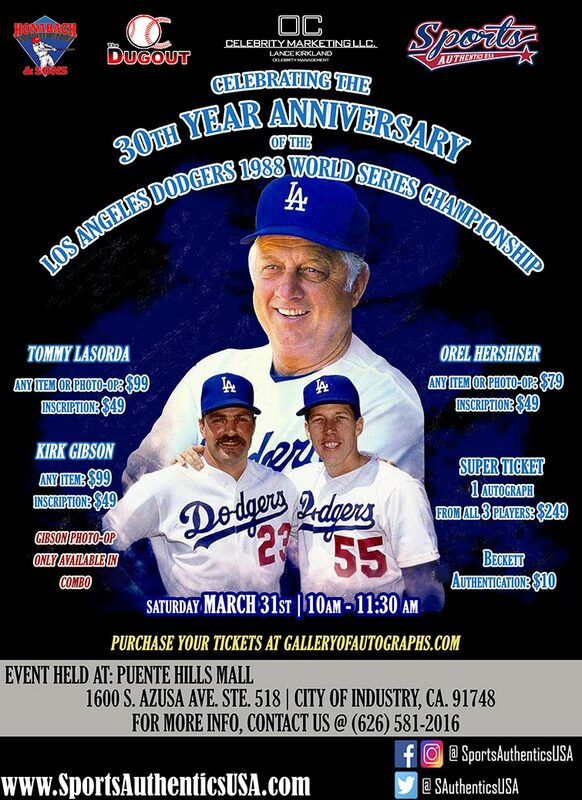 Tommy Lasorda, Orel Hershiser & Kirk Gibson are signing autographs on Sat, March 31st from 10:00 am – 11:30 am at the Sports Authentics store in Rowland Heights. Go here for more information. 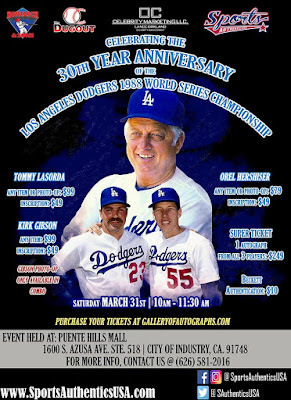 This is a pay event.